For Josh, ABM is all about executing campaigns and measuring results at the account level, not the lead or contact level, using a named account strategy. 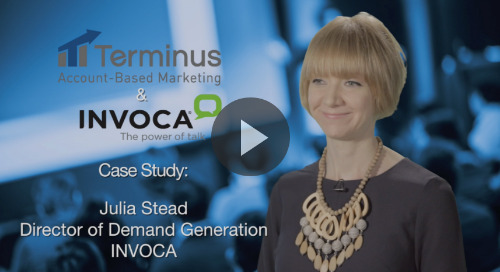 Even before Attivio got started with the Terminus ABM platform, their sales and marketing teams knew exactly the types of companies and individuals they needed to target. Because they had already worked together to define their ideal customer profile, target accounts, and buyer personas, everyone was aligned around the same audience and goals. 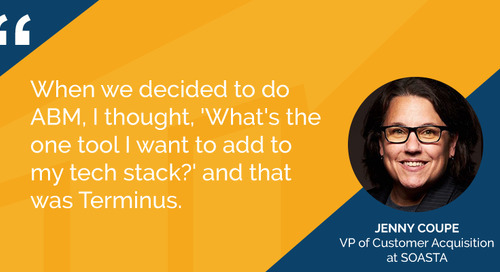 In order to market to and analyze data from those companies in a more dynamic way, Josh and his team began building out their ABM tech stack to include tools like Terminus. 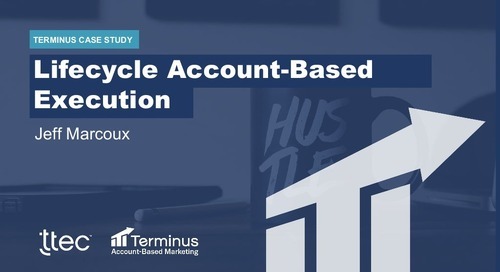 Adding ABM-specific tools like Terminus to their tech stack helped them transform their existing account-based marketing efforts into scalable, measurable campaigns. 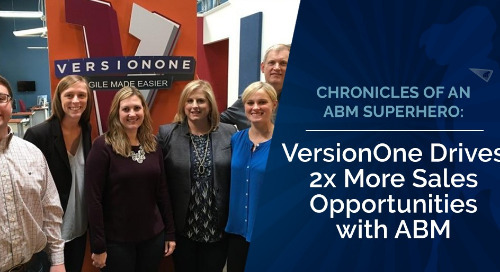 Attivio wanted to implement an ABM strategy that ensured they were laser-focused on generating awareness and engagement across the buying committee at their best-fit accounts — not simply generating leads. Their highly targeted approach to advertising is what makes Attivio’s campaigns so effective. Within each of their keyword-specific Terminus campaigns, Attivio has created different messaging and CTAs to test which one is most effective.  Both the ads and the landing pages in each tactic mention the keyword the account was searching for, which ensures that the content is highly relevant to that account’s needs. Here are some examples of Attivio’s ad creative. Seeing results like this confirms that their account-based advertising efforts are working. 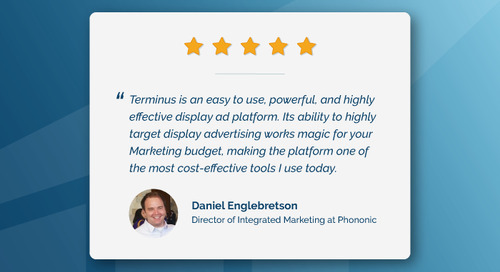 “Serving Terminus ads creates the awareness we need to help initiate conversations with the right companies,” said Josh. Taking the time to plan out relevant, personalized messaging was a huge driver of the success of these Terminus campaigns. 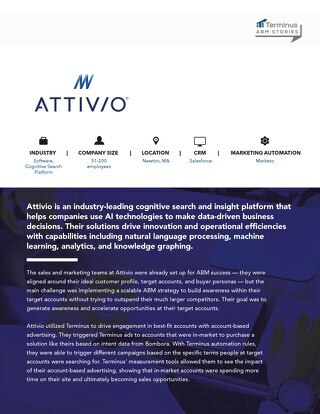 Being strategic in their Terminus campaigns definitely helped Attivio see success, but another key reason they saw such great results is that they weren’t bogged down with measuring the wrong metrics. 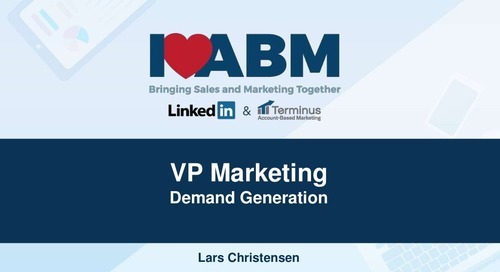 Click here to download a PDF version of Attivio’s ABM Story.